Waiting for a chance for a spontaneous getaway? Do you want to escape the stresses of everyday life, but find yourself facing as much work planning your sightseeing? But not with us! Awaken your unbridled spontaneity and let yourself drift with the wind without any obligations. 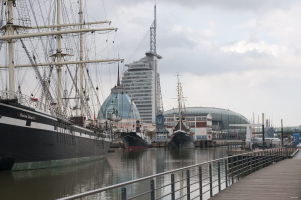 From the simple pleasures of “doing nothing” to active tours of discovery rich with experience, our expert, friendly staff is available around the clock to make your Bremerhaven experience one you will remember.